It's been awhile since I've tried a new drink. This one looked easy so I decided to give it a try. 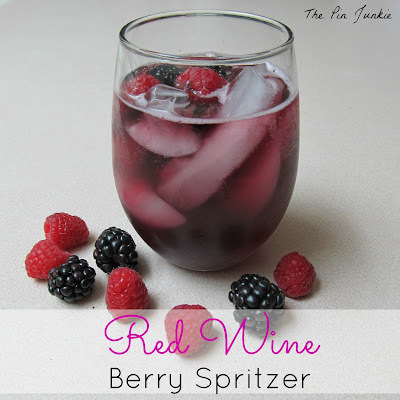 It's a red wine berry spritzer from Aggie's Kitchen. It's light and refreshing and perfect for summer! It couldn't be easier. Just add ice, pour, and enjoy! Here's a list of cocktails I've tried from Pinterest. Some I like and some I didn't! found you at the Aloha Friday hop. following you now on Pinterest. Hi, I'm a new follower from the Aloha Friday hop. That looks yummy and really easy to do too!